Microsoft was in the news for all the right reasons throughout 2016. It beat expectations and made a ton of money in FY16, racked up more than 400 million Windows 10 installs by the end of September, launched a rival to Slack and even a program to create low-cost VR headsets. Its achievements for the year don’t end there: Under the able leadership of CEO Satya Nadella, who’s been at the helm since early 2014, the company has come to embrace the cloud, warm up to the open source community and create exceptional hardware and software products. Let’s be real for a second: Microsoft did a poor job of onboarding people on to Windows 10, pushing the new OS to some machines that weren’t ready for it and forcing updates when they weren’t convenient for users. Other than that, however, Windows 10 is pretty great. It’s quick, efficient and is a delight to use, especially as it had its teething troubles ironed out steadily after it first launched. It also received a bunch of useful enhancements with the Anniversary Update, including Windows Ink to let touchscreen users scribble on sticky notes and screenshots, a more powerful Cortana that can be invoked even from the lock screen, the ability to view notifications from your phone on your desktop, deep-linking Live Tiles in the Start menu and improved battery life with Edge. Microsoft has huge plans for its OS in 2017. The upcoming Creators Update, showcased at an event in October, will bring 3D content creation features to numerous Office apps, as well as an all-new Paint; gamers will be able to broadcast gameplay live from their desktop; MyPeople will let you view texts, Skype chats, and emails from your contacts all in one place. It’s interesting to see Microsoft building out its desktop ecosystem steadily as a place for people to work, be creative and play – previous iterations of the OS only felt like a platform where you had to bring third-party applications to do whatever you needed to. Hopefully, the Creators Update is just the start of such features and functionality for Windows users. Later, it open sourced Xamarin – a tool for building cross-platform mobile apps -and PowerShell, its task-based command-line shell and scripting language for managing system tasks. By September, the company had garnered more open source contributors on GitHub than Facebook, Docker, Google and Angular. That achievement may not be the strongest indicator of how actively open source the company is, but compare this to the scenario a decade ago, when Microsoft wouldn’t even have figured on that list at all. And last month, Microsoft joined the Linux Foundation as a platinum member, which means that the company is committed to helping advance the development of numerous open source projects. That’s a far cry from when former Microsoft CEO Steve Ballmer labeled Linux “a cancer” 15 years ago (he’s over it now). I got a chance to try the HoloLens mixed reality headset at the Junction Hackathon in Helsinki last month and I’m happy to report that the hype is real. It’s indeed a compelling product, albeit very much in the works both in terms of the hardware’s capabilities (the viewable area is rather small at present) and applications that support it. That being said, it’s commendable that Microsoft not only managed to make the development kit available to tinkerers as scheduled, but was also able to begin selling it to the public and put it to work in space. It’s interesting to see the company take this approach to immersive experiences, and differentiate itself strongly from current-gen VR offerings. We’ll have to wait and see if that pays off in helping Microsoft lead the charge with such devices in the future. It’s also worth noting that Microsoft isn’t ignoring VR. Instead, it’s taking the fight to heavy hitters like Oculus and HTC by teaming up with gadget makers to develop PC-tethered VR headsets that can run on lower-end hardware and come in at less than half the price of current-gen offerings. While it remains to be seen just how powerful and immersive these will be when they launch next year, but it’s good to know that VR fans won’t have to pay through their noses and empty an entire room to enjoy virtual reality experiences in the near future. Microsoft blew people’s minds with its new and first-ever desktop computer, the Surface Studio. Packed to the gills with power and plenty of innovative features that truly are game changers for creators, it stands head and shoulders above anything else out there at the moment. The all-in-in-on PC features a 28-inch 4500 x 3000 pixel touch-sensitive display that can rest at a 20-degree angle to allow you to work on it directly with your fingers, the intuitive Dial control or a Surface Pen. At its premium price point (it starts at $3,000), it may not see a large audience, but Microsoft has set the standard for the next generation of computers at a time when it was expected that Apple would do so. It’s going much farther much faster with touchscreen tech than we’d have expected. The Surface Dial presents a clever new interaction method that we haven’t seen before too, and I expect that we’ll see more such controller interfaces in the future. On its own, Microsoft isn’t yet a huge hardware rival to Apple; perhaps its biggest fight with the Cupertino brand is in the tablet space with the Surface Pro. But unlike Apple, it has tons of OEMs ready to follow its lead and push the boundaries of hardware on its platform, so the goal might only be to draw people to the capabilities and performance of Windows, for which the Surface Studio seems to be a fitting showcase. Microsoft made a few notable leaps forward in the gaming department as well. While its Xbox One console is still going strong, the company launched the upgraded version, the Xbox One S in June. It brings HDR support, 4K playback capability for streaming video, a 40 percent smaller chassis, an improved controller and now, Dolby Atmos sound. Far more notable, however, was the company’s announcement of Project Scorpio, the next-gen console that’s slated to launch during next year’s holiday season. It promises true 4K output for games, thanks to eight CPU cores and 6 teraflops of graphics processing power. It’ll also support Xbox One titles and accessories. Another achievement in this domain is the launch of Xbox Play Anywhere, which lets you buy select games on your desktop or Xbox One console and play them on either system, picking up right where you left off and without having to purchase a second copy. Microsoft’s Office suite has long been one of its big earners, so it’s not surprising that the company doubled down on its productivity tools through the year. For starters, it launched Teams, its rival to Slack’s messaging app for groups. 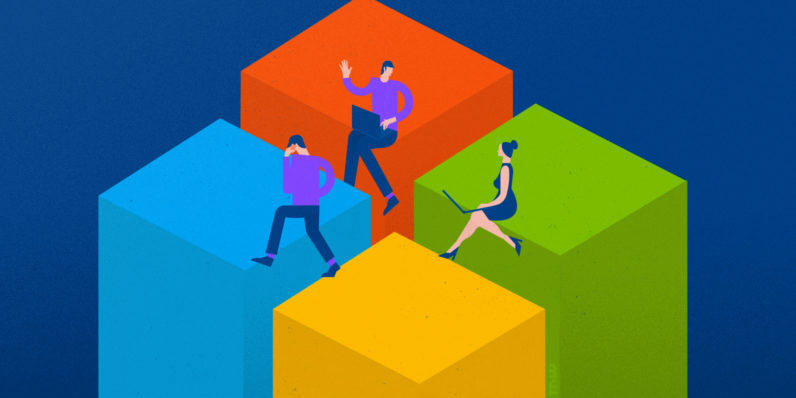 Unlike its competition, it’s tightly integrated into Office 365, as well as Power BI and Skype with plenty of features for easy communication and collaboration in the workplace. It also acquired LinkedIn for a whopping $26 billion. Following the deal in June, the social network for professionals has taken on a number of initiatives to improve its offering, including a redesign and overhaul of its messaging system, the launch of a placement service and a lite mobile site for users in India, and a tool to help you understand salary trends in your geographic area and domain. Microsoft improved its Office and Office 365 apps a bunch by adding things like support for extensions in Office for Mac, enabling real-time collaboration in Office 365, and bundling Sunrise Calendar’s scheduling features into Outlook. It also launched Flow, a rival to IFTTT with a focus on connecting productivity tools for automating tasks like sending out a customized email when a new SharePoint list item is added. Microsoft has yet to figure out the mobile and wearables space. It’s struggled for years to grow its market share with Windows Phone (which has sunk from 1.2 percent globally in Q4 2015 to 0.3 percent in Q3 2016, according to IDC), and it’s become clear that shiny hardware isn’t the answer. Microsoft also failed to make a mark in the wearables space. It only really got into fitness with its Band tracker and killed it this year, and hasn’t bothered to take on watchOS or Android Wear. That may not be a massive missed opportunity at this point, given the slow adoption of wearables even in 2016, but there’s always the danger of being left behind as it did with mobile, should this category take off soon. Not bad for an otherwise crummy 2016, eh? Microsoft has certainly been fun to watch all through this year, and it’ll be interesting to see if it can top this in 2017. There’s lots to be done, including figuring out its strategy for mobile hardware, building on its programs for VR and MR, and beating the likes of Slack and Facebook Workplace at their own game.